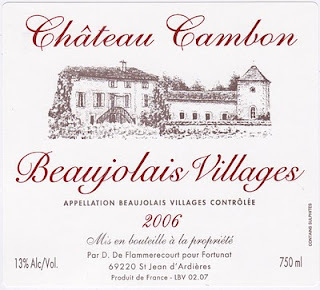 It all started in 1995, when Marie and Marcel Lapierre, in association with Jean Claude Chanudet (from “Domaine Chamonard”), purchased Château de Cambon, which was in bankruptcy. They brought a renaissance to the estate and restructured its vineyards. Marie is managing it. Marcel Lapierre, her husband, who also owns a Domaine in Morgon (hence Domaine Marcel Lapierre), is the vineyard manager/winemaker and Jean Claude is in charge of all the technical and material part. Although Marcel adapts the same care and methods as with his own Domaine in Morgon, the three of them make the final decision regarding the wines. Although the vineyard management is not technically Biodynamic or Organic, they use the “Lutte Raisonnée” method, which is quite close to both despite the use of chemicals when needed. “Lutte Raisonnée” means that they adopt different attitudes and methods in the parcels depending on the vines, the nature of the soil, the environment and the necessary measures that need to be taken depending on the vintage, the weather and micro-climates. It also means that they only apply minimal or barely no use of chemicals treatment (pesticides, herbicides, etc) to fight diseases and fungus, only when really necessary. Also, when they do not use any chemical, they treat the vineyard with Biodynamic products and plow their vines. 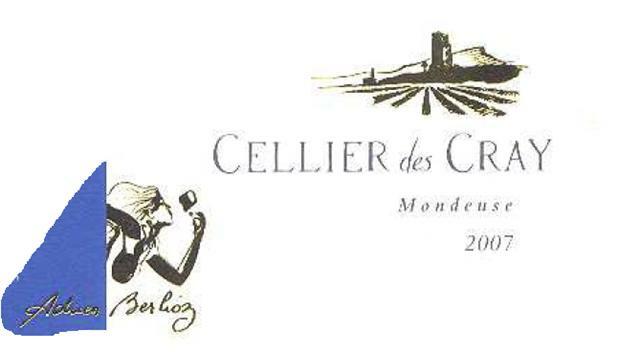 The vineyards of this estate are located between the crus of Morgon and Fleurie. But due to bureaucratic indecisiveness between 1935 and 1936 when most Beaujolais and Cru Beaujolais AOC(s) were created, this vineyard was not included in either cru, but just given a Beaujolais-Villages designation. Since the owners at this time did not protest the decision, this land will forever be designated as Beaujolais-Villages or Beaujolais. That said, Marie and Marcel believe that these wines show a marked resemblance to the Morgon cru. Marcel vinifies them in the same manner and enthusiasm as with his other wines at Domaine Lapierre in Morgon. Harvests are done manually with serious sortings, made by each harvester when they pick the grapes in the vineyards, then re-verified when they empty their basket in the large bucket behind the tractor before going to the winery, and one last time at the winery. Usually they only make 2 different wines, the rosé Beaujolais wine (wine of bleeding or “saignée”) to allow better concentration to their Beaujolais red and, thus, the red Beaujolais wine. 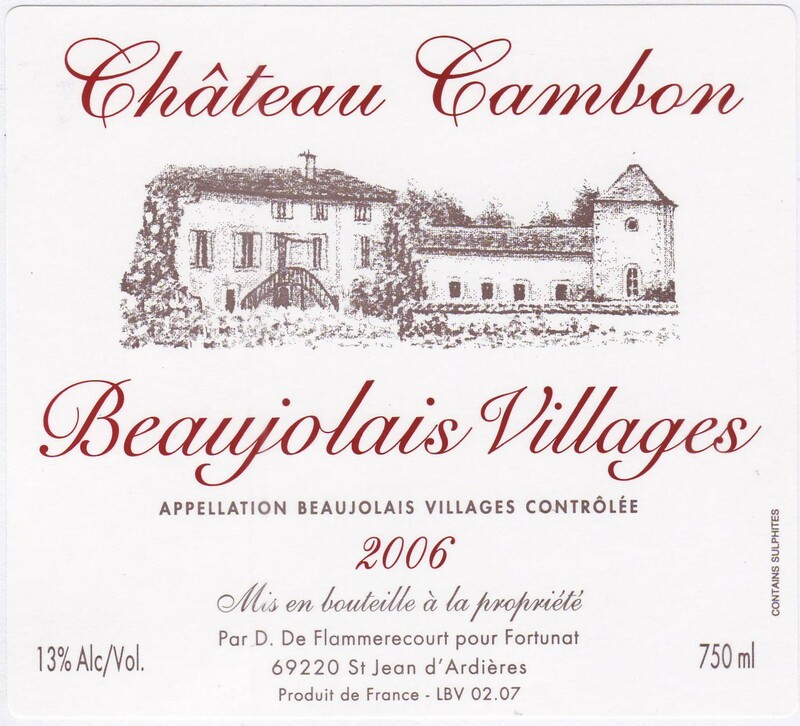 Occasionally, when the vintages are very good, they also make the Cuvée “Le CAMBON”, a Beaujolais Villages that is made with the best grapes of the vintage from the older vines. When the vintage is not as good, they mix all the grapes and only produce the Beaujolais red. In any cases, they sell everything every year one way or another, which is another proof of the high quality of this estate and the people behind it. All their wines are produce and vinified with all natural yeasts and without SO2 or “chaptalisation” in 40-75 hl foudres (large oak vats). Only tiny doses of sulphur are added to increase stability and avoid oxidation, but bottling occurs without filtration. The wines are as natural as can be and the result in the bottle is vibrant and alive. 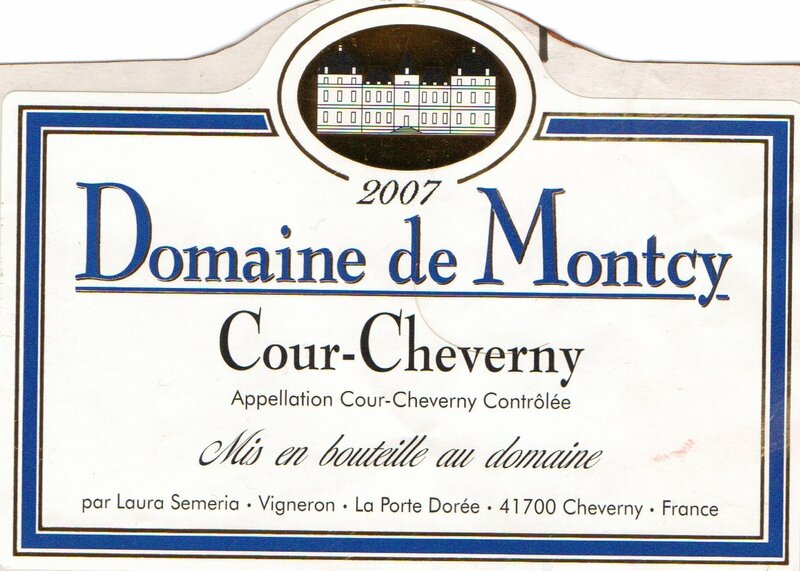 The 2006 vintage is characterized by the ripeness but also the freshness of the fruit. 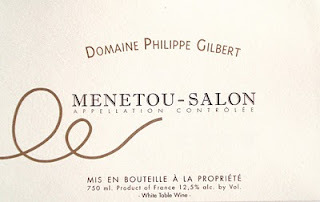 Expressing the typical red fruits of Gamay combined with the minerality of the soil; this wine is quite delicious and somewhat elegant with a nice dose of earthiness. Behind its deep red-purple color, which is by the way, slightly cloudy, this wine presents inviting and complex aromas of cherry-like fruit with earthy notes. 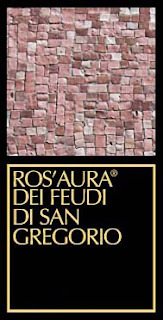 A touch rustic, the palate is fresh and juicy, with red cherry fruit enhanced by a great acidity. The finish is a touch dry and needs a bit of food but has good structure overall. Marcel Lapierre and his team once again managed to produce great Beaujolais that deserve some attention. Not to mention it again, but this is an unchaptalised, unfiltered, unfined, unsulphured wine from somewhat partly Biodynamic-Organic vines made by Beaujolais wizards that are very talented at what they do. Domaine Marcel Lapierre, Domaine Chamonard and Chateau Cambon are some of the best Beaujolais of the Morgon area and surely some of the most natural, really expressing the characteristics of their Terroir of origin. 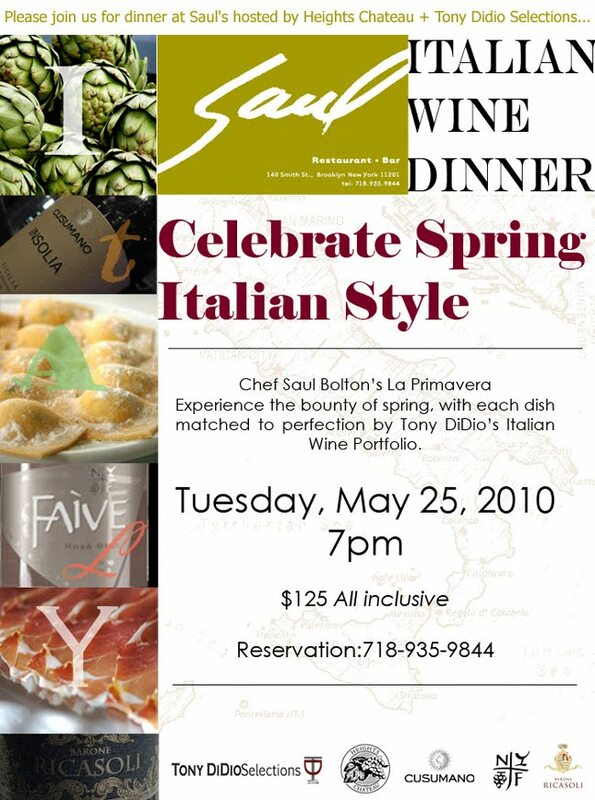 Tasting Event: 40 wines (1 white and 1 red) from 20 Italian provinces with a few Italian food specialties..
Before writing about more fairly unknown, delightful and juicy natural wines (and spirits) from around the world in soon-to-come posts, I just wanted to say that from now on I will also, from time to time, advertise and promote some of the events and tastings from www.HeightsChateau.com. For those of you who didn't realize it yet, Heights Chateau is the boutique Wine & Spirits store where I have been working for the past 2 and a half years, located at 123 Atlantic Avenue in Brooklyn Heights, New York. As the co-Wine buyer and Wine manager of the store, I never really linked most of my descriptions and posts to the store. Probably because sometimes I'm too opinionated and enthusiastic or too personal and detailed on certain subjects. Hence, I may not be neutral enough to voice out the professionalism and fairness of the store profile. 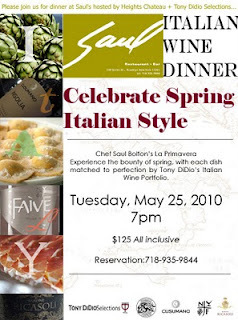 However, advertising and promoting Heights Chateau's events and tastings on my blog is good way for me to demonstrate the selectivity of the store and invite you to have a look at what we do and discover our Wine and Spirits selection mirroring the quality of our discriminating palates. For more info, you can always go to the store website at www.HeightsChateau.com to check our events and tastings calendar. 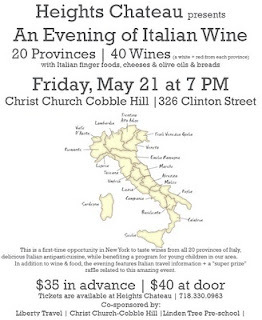 The next event, occurring on Friday, May 21st from 7pm to 9pm, will be held at Christ Church Cobble Hill, 326 Clinton street, Brooklyn, NY 11231 (www.christchurchcobblehill.org/welcome/). 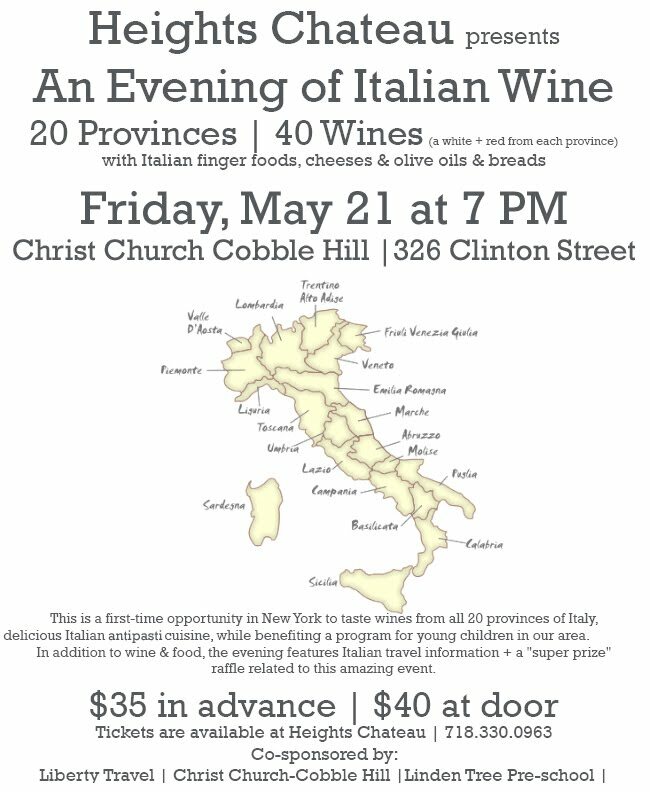 40 wines (1 white and 1 red) from the 20 Italian provinces will be presented, complemented with a few Italian food specialties... 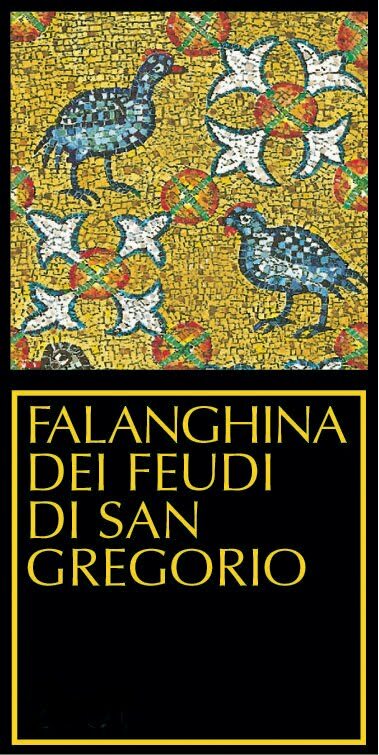 Therefore, I'm asking you: I'm sure that you tried plenty of Italian wines from various regions, but did you ever get the chance to taste 40 Italian wines from 20 different provinces in the same place before? Never, so just come and discover them with us. It is only $35 person, or $40 at door, and moreover, it is for a good cause, the money will benefit a program for young children in Brooklyn. Yesterday, I had the pleasure to receive Robert Cripps, owner of Domaine du Poujol, an English man living with his American wife, Kim, in the Languedoc for the past 18 years, which, as he likes to joke about it, makes them one of the first expatriate small owners of a Languedoc winery. Robert is a self-taught winemaker, who trained and learned how to make wine in the cellar of a winery in California, where he met his wife Kim. 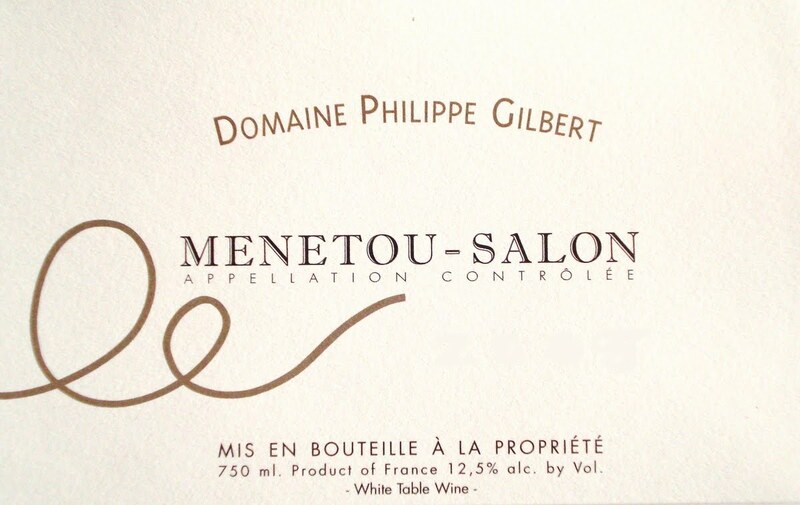 Curious and creative with an artist attitude and adroit with his hands, he rapidly discovered his love for winemaking and the need for crafting wine. He also created his own wine labels. They both very handy and like to be in control of their Domaine. It all began after a year of rain and part-time work in Burgundy, when Robert and Kim started looking for a place under the sun and found “Domaine du Poujol” in the Languedoc region, about 20 km/12 miles northwest of Montpellier, and situated between Pic St Loup, Montpeyroux and St Georges d'Orques. Family owned, Domaine du Poujol is producing Appellation Contrôlée Coteaux du Languedoc and Vin de Pays wines from grapes grown, bottled and vinified at the domaine. The wines are well structured, elegant, and ideal for immediate drinking yet with good ageing potential. 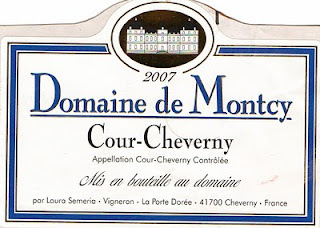 The Domaine possesses 18 hectares of vines planted with various mostly indigenous and a few international grape varieties: Syrah, Grenache, Carignan Noir, Cinsault, Mourvèdre, Merlot and Cabernet Sauvignon for the red and rosé wines, Vermentino (Rolle), Roussanne and Carignan Blanc for the white wines. Robert and Kim do pretty much everything themselves from the vineyards to the cellar. Helped by Kim, Robert has multiple hats: owner, oenologist and winemaker. 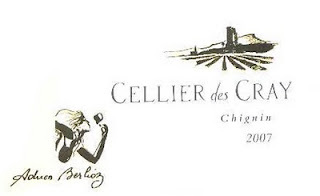 Their philosophy is to produce elegant, well-balanced wines that express the uniqueness and the character of the terroir: a unique combination of soils, topography, microclimate, exposure and environment. They are not organic or biodynamic, but apply the technique of “Lutte Raisonnée” (comparable to Sustainable culture), which is somehow a compromise between the two previous methods with more flexibility and the possibility to moderately use some chemicals and pesticides but less often and less aggressively than conventional producers and only if really needed. Conscientiously practiced, this method resembles quite a lot to organic culture in many ways, except for the use, even if minimal, of chemicals. And compared to Organic culture or Biodynamic culture, the producers using the Lutte Raisonnée method (or concept) are not subject to any system of checks from certified organizations or any previously agreed limits to what is permissible to do in his vineyards. Yet, harvest are also operated differently, he never harvests an entire parcel at the same time, he picks and chooses rows or portions of rows here and there to only pick gradually the grapes with the most ideal ripeness. He makes his vines selection depending on the soil, the exposure and the microclimate. After being hand-harvested, the grapes are usually fermented in concrete vat lined with epoxy (much less expensive than the stainless steel tanks, less variation of temperature and more air interaction) or in 10 years old “demi-muid”, a large oak barrel of 600 liters. Some of its demi-Muid comes from Francois Chidaine, a great producer of Montlouis in the Loire Valley. The wines are naturally crafted with minimal intervention, minimal use of sulfur and bottled with no fining or filtering. Usually labeled under “Appellation Contrôlée Côteaux du Languedoc” and “Vin de Pays” wines from grapes grown, bottled and vinified at the domaine; the Cripps produce excellent, earthy, terroir driven wines that are fresh, textured and structured, a touch rustic yet somewhat quite elegant, with good acidity, crispy tannins and integrated alcohol, which is rather unusual for Languedoc wines. They are usually ideal for immediate drinking about 6-8 months after bottling yet possess very good ageing potential. A blend of predominantly Vermentino, also known as Rolle (45-50%) and Carignan Blanc (35%) with a twist of Roussane (5-10%) crafted in concrete vats, this pale straw color wine offers aromas of white fruit, fresh nuts, earth and minerals. The medium bodied palate is fairly well rounded, clean, rich yet crisp, balanced and food friendly, with a long mineral finish where linger white fruit and nutty notes. Quite lovely overall! “Proteus” is predominately a blend of Merlot (50%) and Cinsault (30%) completed with a blend of all the other grapes (Cabernet Sauvignon, Carignan, etc..) that they do not use for their other wines (that doesn’t mean that the grapes are bad or that the quality of this wine is low, it just mean that after careful harvest and sorting for the other wines, the remaining grapes go into this wine). Here again, produced in concrete vats, the resulting wine is quite well crafted with dark ruby color and good intensity. The nose is fresh, earthy and mineral with ripe red wild berry fruit, earth, hints of garrigues and rustic leather, spicy notes. 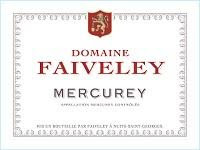 The palate is also crisp with vivid acidity, bright red fruit, earth, mineral and a lingering finish with slight tannic touches. A food friendly wine for everyday drinking, touch rustic but balanced and pleasing! Grapes for the “Podio Alto” are grown in six, predominantly south facing, rocky limestone based hillside vineyards, situated at 100-200m above sea level. The Grenache vines are 25 years old, the Mourvèdre was planted in 2001 and the Syrah in 1985 and 1997. The flagship of this winery, “Podio Alto” is a blend of 35-40% Syrah, 25% Mourvèdre, 20-25% Grenache and 10-15% Cinsault that was aged in old demi-Muid oak barrel of 600 liters for 12 months and was bottled, like all their wines, with no fining and no filtering. Behind its deep garnet color, the expressive 2005 Podio Alto shows intense aromas of dark red fruit, plums, leather, garrigues, earth and liquorice. The palate has had time to settle down and open up. 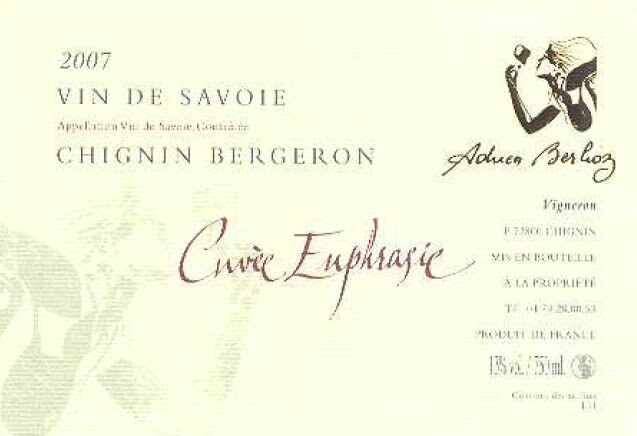 It offers a soft, integrated, rich and generous profile with great structure and enhancing acidity despite the ripeness of the fruit. Supple tannins support the ripe dark fruit character that lingers through to the finish. The touch of oak, which is barely noticeable, adds complexity to this wine. Here again, the rustic touch is enjoyable, makes this wine even more food friendly and represents the undeniable proof of the nature oriented way of producing wine from the Cripps. Enjoy over grilled meat like Beef and Lamb, but also country dishes like rabbit, venison or wild boar. Step into the Green! Drink more Biodynamic, Biologique and Organic wines (and food) from sustainable culture and respect the environment! Support the right causes for the Planet and all the people suffering all around the globe!